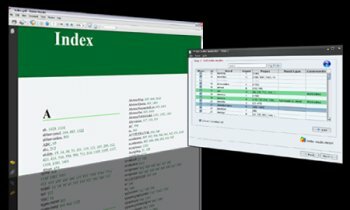 PDF Index Generator is a powerful indexing utility for generating an index from your book and writing it to your book in four easy steps. 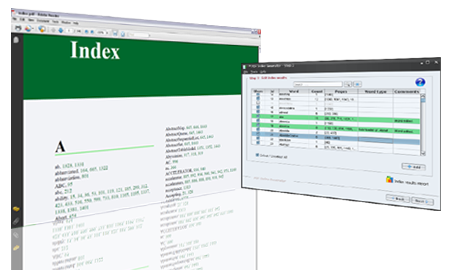 PDF Index Generator parses your book, collects the index words and their location in the book, then writes the generated index to a PDF or a text file you specify. The main target for PDF Index Generator is to automate the process of generating the book index instead of doing the hard work manually. I really like this software. Simply because it pretty much does the work for you. It's such a time saver. I'm glad I didn't have to go through the troubles of paying someone a ridiculous amount of money just to do the work PDF Index Generator can do. Definitely recommended! Perfect program! For spammers. Check the profiles of all the 5-star reviews. did not have the options provided by your program). It's the friendliest tool i have ever used - Even a doorknob like me used it no problems for the first time. Thanks for making things so easy. The fake reviews are great! How did you come up with such unique users names? I love reseller spam scams like this!!! 450 pages > 1600 terms, done in 2 min 53 sec on a late 2009 MacMini ! It is the easiest way of creating book index. The program is very easy to use and it has helped me produce a basic index very quickly and confidently. It looks very nice especially the links of the index linking to the book pages. The support from the PDF Index Generator is excellent. It's a solid tool and definitely worth the money. I look forward to using it for all our documents and files.